The Native American tribes share a spiritual connection with nature, in the sense that nature plays a crucial role in deciphering the cosmos that consists of highly enigmatic elements in it. The Algonquin stance, "your birth date is the first drum beat of a fantastic ceremonial dance of life", just shows how the Native Americans associate life with a celebration, they celebrate and honor everything that breathes, be it human or animal. They observed the flora and the fauna, their strengths, their weaknesses, and sought powers from them to perform difficult tasks. For example, because a bat has the ability to see clearly in the dark, they (Native Americans) invoked its spirit to gain the power to see their prey clearly during a hunt in the night. 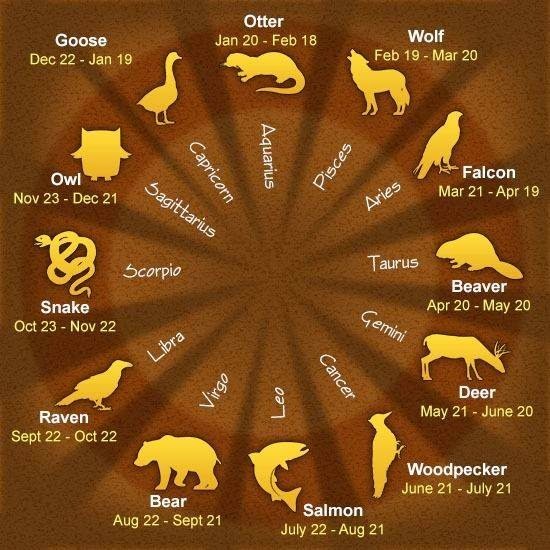 When it comes to astrology, an animal totem was assigned to those born within a given time period. It is believed that these people share the traits of the animal symbol they are born under. The following section explains these zodiac animals, along with their western interpretation and meaning. Find out which is your birth animal!